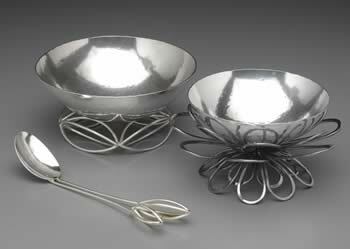 "Bud Bowl" with matching spoon in sterling silver (left). "Blossom Bowl" (right). Sterling silver with a copper base. "Thorny Bowl." 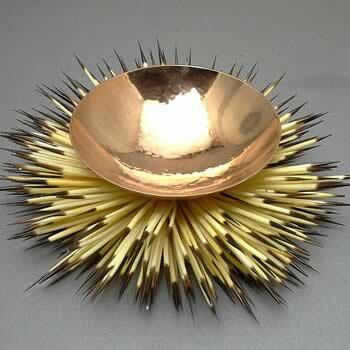 Bronze bowl with a base of porcupine quills. 5" wide, 3" tall. 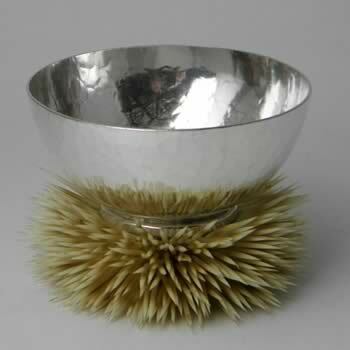 "Bowl of Quills." Sterling silver with a base of hedgehog quills. 2.5" wide, 2.5" tall.